Our foundation is built upon years of experience supplying commercial utensil washers, pot washers and pan washers to the hospitality and catering sectors, working with all size of business from independent professional kitchens to large-scale food processing units. 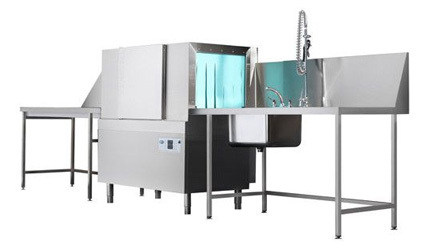 We have expanded into other areas including pharmaceutical laboratories, hospitals, medical and healthcare establishments where we have found our experience applied to various washing requirements including cages, baskets and instruments. Working as an intermediary between manufacturers, our specialist team develop customer requirements, design and specify suitable equipment and manage installation projects. We are responsible for delivering on nationwide service contracts and provide an outstanding commitment to warranty and service for all our installations. 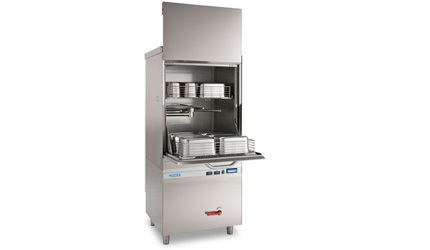 Designed to clean a wide range of utensils and ideal for large professional kitchens, schools and hotels that need to wash a wide variety of large utensils and cooking apparatus to food-safe conditions Utensil washers offer maximum entry height and are capable of high volumes. Designed to wash larger pots and pans, such as gastronorm containers, bread pans and tin straps that are commonly used in commercial food production units and bakeries. 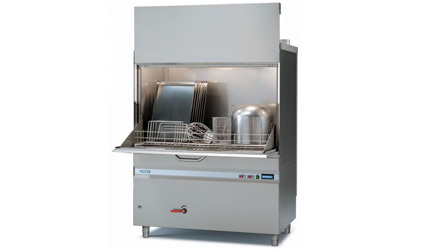 Pot & Pan washers offer multiple wash arms and increased height, making them ideal for commercial kitchens. 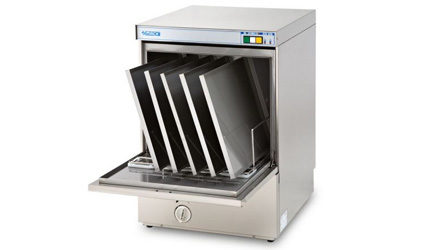 Tray washers are designed to stack and wash multiple trays, making them ideal for food production units that need to wash baking sheets and baking trays. They are also popular with school or university canteens that need to wash food service trays to hygienic and food-safe conditions. Basket washers are commonly used in food chain production (including fruit, vegetable, fish, meat and poultry industries) or logistics. 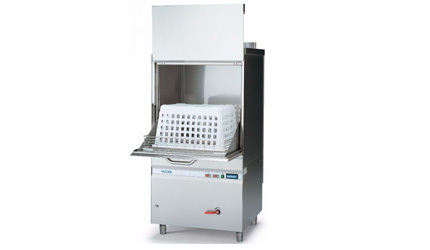 Basket washers are capable of washing and drying all types of crates, cages, baskets and totes, depending on requirements. 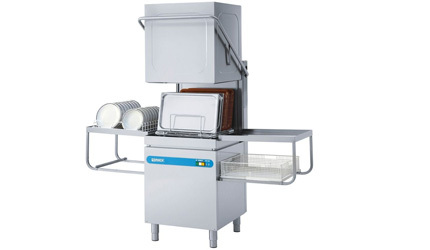 Pass through washers (hood-type dishwashers) are a versatile, high volume machines commonly found in commercial kitchens and restaurants. They are a popular product with schools and canteens whom need fast, quick and hygienic washing capacity. Rack conveyor dishwashers are the ultimate in high-volume automation, suited to large-scale catering (hotels, school canteens or hospitals). Each rack conveyor is customised to accept apparatus depending on requirement and is engineered to work seamlessly as part of a full installation.